$199.99 & FREE Shipping on orders over $59 $35. 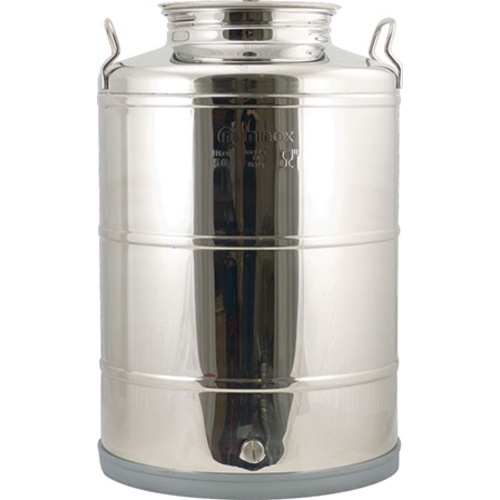 Made from 304 type stainless steel, these tanks come with a 7.5" opening on top with a screw-top lid that seals against a gasket. There is a 1/2" BSPP female coupler on the bottom that comes with an installed plug, designed to work with the ball valve listed in the You Might Also Need section below. 14.5" Diameter x 22.5" Height.